Watch Lindsay and Yvonne talk about the benefits of annual membership. Enjoy more yoga for less with an Open Space Annual Membership! Thinking about an Annual Membership? Monthly auto-payments of $89+gst billed directly to your Visa or MasterCard. Customers can choose auto-payments to come out on the first or 15th of the month. THIS IS THE BEST VALUE IN SOUTH DELTA! 22 CLASSES A WEEK TO CHOOSE FROM! Membership is established when you set up autopay. It is convenient and secure. 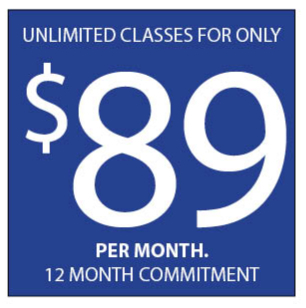 Unlimited Membership gives you access to all classes on the schedule (excluding Beginner 101 Yoga and Events). Annual Unlimited Members receive 10% off all Workshops, Courses and Events. You can even put your pass on hold for up to 1 month, once a year!